I was in Next the other week looking at the sale items and I saw that it was 50% off all NYX products. I was a bit shocked at first and wondered if they were getting rid of NYX or restocking but the shop assistants didn't know. I really hope they aren't stopping NYX at Next because that would be a shame! 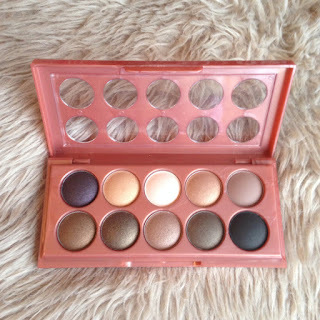 It was great to get this eyeshadow for £6 though instead of paying the full price of £15, such a bargain!! I went for the Dusk Til Dawn palette of the Dream Catcher range as I prefered the shades and are more suited to my fair/pale skin tone. I love all the glitter shades especially the cream and brown ones, they are beyond stunning. 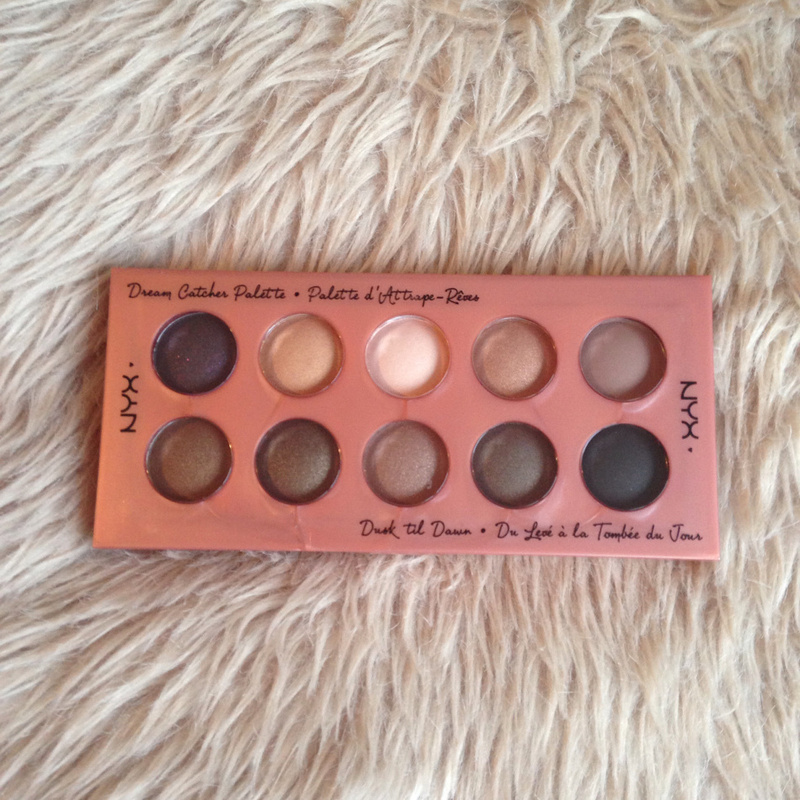 This palette can create the most amazing smokey eyes with such a variety of shades, the results are awesome! 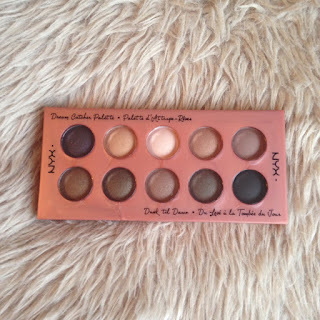 I am so happy that I got it, it is of good quality and the pigmentation is beyond great, I was very impressed when I was trying them out. The texture of the eyeshadows is really good, it lasts for a long time and doesn't wear off after a couple of hours. There is also a secret compartment underneath the eyeshadows with a mirror and brush, you just slide it to the right and voila! Is it worth buying? Definitely, I would recommend it to a friend and want to try out more of their eyeshadow palettes. The highly pigmented eyeshadow mean you don't have to coat it on in thick layers and your eyes look fantastic. A great buy and a must have eyeshadow palette, one of the best I have.